5 Ways Your Product Branding Can Generate Leads Organically - Activity Packs, Children Activity Packs & Kids Colouring Packs - Packme Ltd. The power of product branding can completely transform the marketing efforts of a business. For many businesses the design of a products is as important as the product itself. Sometimes it’s the first opportunity to communicate to a customer. The most successful businesses use branded merchandise to promote a lifestyle or create an emotional connection with a product. One such company that has nailed this is Harley Davidson, who need little introduction. It could be argued that there is nothing louder than a Harley Davidson motorbike and nothing prouder than someone riding one. Now, you’re probably thinking that the Harley brand must be the product of a very costly marketing team and highly expensive media campaign over a number of years? Think again. It is true that the company is over 100 years old, but that hasn’t been without its bumps in the road, namely its association with terrifying biker gangs. In reality, for the last 4 years running, Harley Davidson has spent just 15% of its marketing budget on traditional media. Here’s the thing, Harley Davidson isn’t selling motorbikes, they’re selling a lifestyle, an emotional attachment to the freeing and liberating experience of an open road. That’s what they’re marketing to. Bike sales are the byproduct. No mention of engines, brakes, or steering. This is the emotional connection that the company nurtures. The very idea of Harley Davidson, its riders and community transcends way beyond the concept of an automotive manufacturer. It’s important to recognise who are your customers and ask yourself who you are marketing to? Know their identity and embrace it, represent them and define them through your brand and your merchandise. Once you’ve identified your customer, you can focus your efforts on being noticed. Harley riders know that you don’t just ride a Harley Davidson, you need to dress the part as well, and naturally, only Harley leathers would do. You don’t need to own or even ride a bike to wear a jacket, fashion is open to anyone. In this way, the brand became iconic. Consumers form a community and loyalty soon follows. Harley riders embrace the culture as their way of life with wearers of their clothes turning into brand-advocates. How many companies can claim as many branded tattoos as Harley Davidson? If you make your mark, so will your customers. A captive audience is great. A loyal following is even better. A passionate fan-base who spread their experiences by word-of- mouth, is the pinnacle of brand strength. In order to get to this stage your followers need to have a platform from which to shout to the masses and sing your praises. Harley Davidson recognised this and wanted to channel all the adulation and enjoyment of the Harley lifestyle. 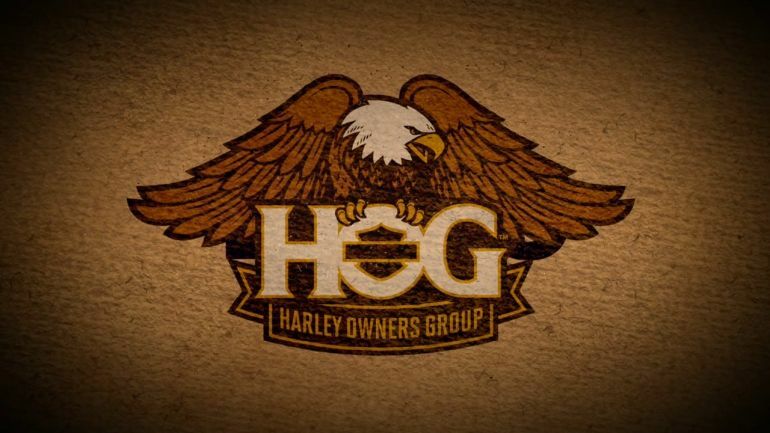 In doing so they created the Harley Owners Group (H.O.G. ), connecting customers and expanding the network. In order to fuel the effects of the platform and inspire greater loyalty, the H.O.G. is free to join for the first year and members are offered special promotions. What’s left is a vehicle for organic brand promotion arrived at through treating their customers as family who participate in the production and promotion of the brand. Effectively, they are walking and talking billboards. Harley Davidson has built such a strong following and trusts their fan-base so much so that they invite their customers to share and create their own stories via a “Fan Machine” app on the company’s Facebook page. This is how they source their creative ideas, and by doing so, they have eradicated the need for a lead agency. What’s more, the customers couldn’t be happier that they can engage with the brand on such a direct and personal level. Harley does use agencies for media and digital projects, but continues to rely on customers for creative ad ideas. As a result the company actually invests less than a million dollars on advertising each year. Harley Davidson realised that if they focus on their brand and their customers then new business leads would be generated organically. They would also be high quality and founded on a taste for kinsmanship, community, and becoming a feared 43-year- old accountant. It’s all about understanding the full value of a lifetime customer. Imagine you run a business where the lifetime customer value is £15,000 then you could buy a lead for £4,500. The cost of the lead might seem high, but you still make lots of money. That’s the mentality of marketing as an investment, not an expense. Teaching yourself to make this shift will help you to evaluate the high return that your investment could achieve. Remember, the Harley Owners Group is free to join for the first year, so consider the cost of running this self-sustaining network against the potential revenue in motorbike sales. Consider also the cost of producing Harley Davidson leather jackets and associated apparel – a sellable product and a marketing tool. Get in touch today to find out how could you invest in your marketing to make your brand and merchandise work harder for you, for less. Want to invest in your brand’s merchandise? Contact us today for friendly and expert advice.